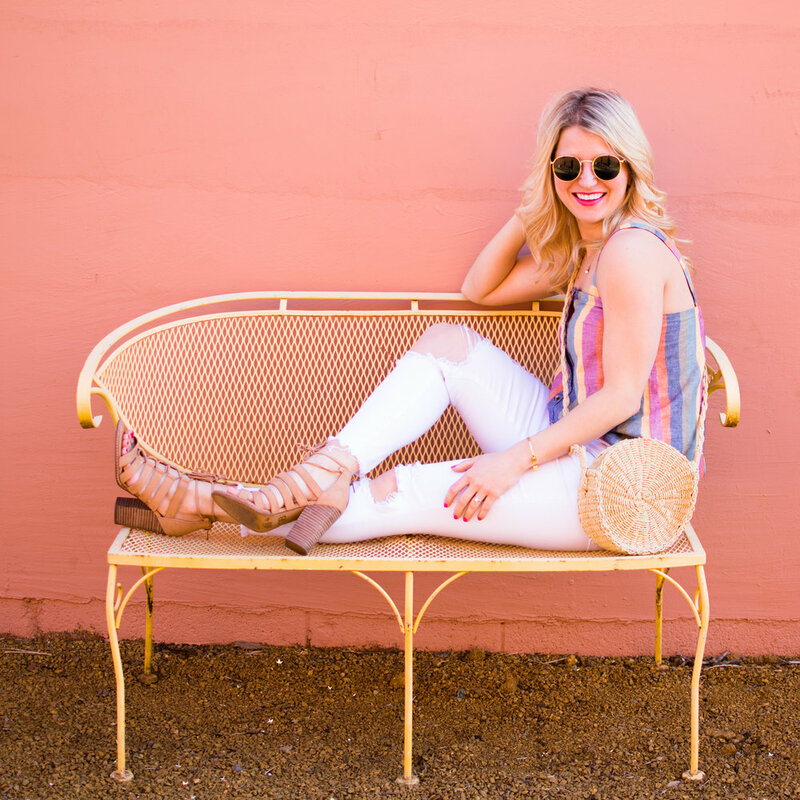 I have found my new Spring/Summer obsession! RAINBOW STRIPES. 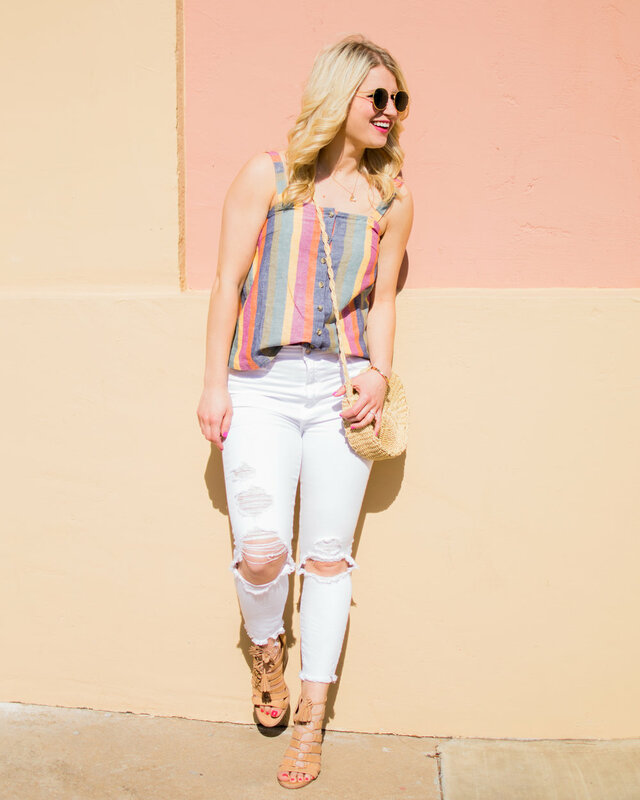 I've been seeing rainbow stripes everywhere I go lately, but Madewell takes the cake on my favorite. I love that the colors aren't super bright but still give you that summer-y feel. This particular top fits TTS- I'm wearing an XS, and I was also really excited about the idea that this style of top wasn't a crop top or super duper tight. Madewell just gets so darn many things right. 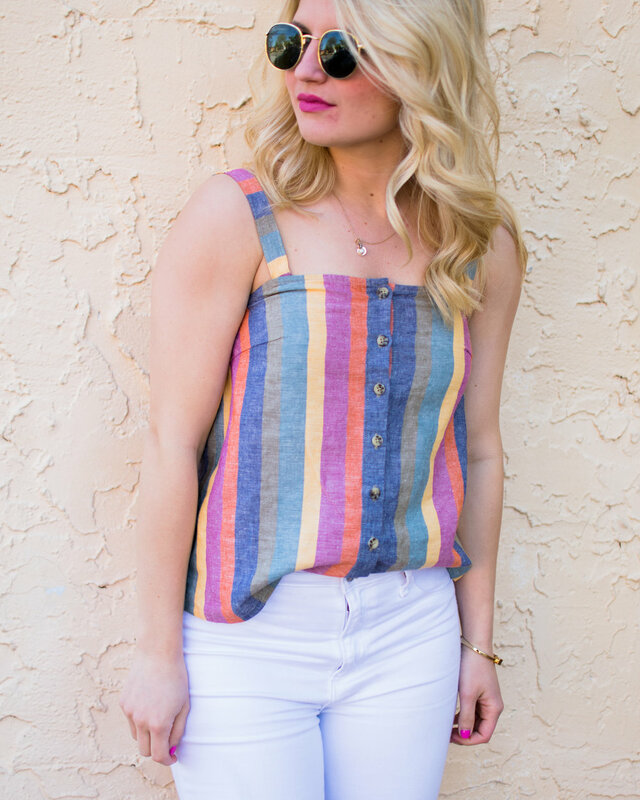 I've included some of the other fun styles they have in rainbow stripes right now as well!